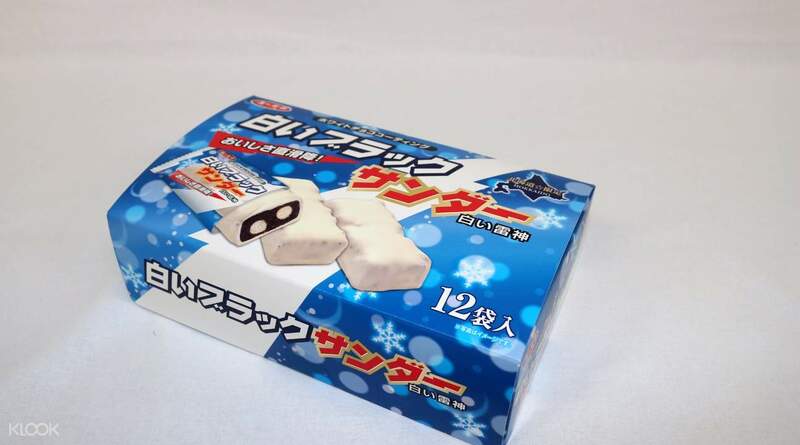 Take home the perfect souvenirs from Hokkaido with these tasty, limited-edition snacks! Good & time saving, pick up right before leaving japan, highly recommended. 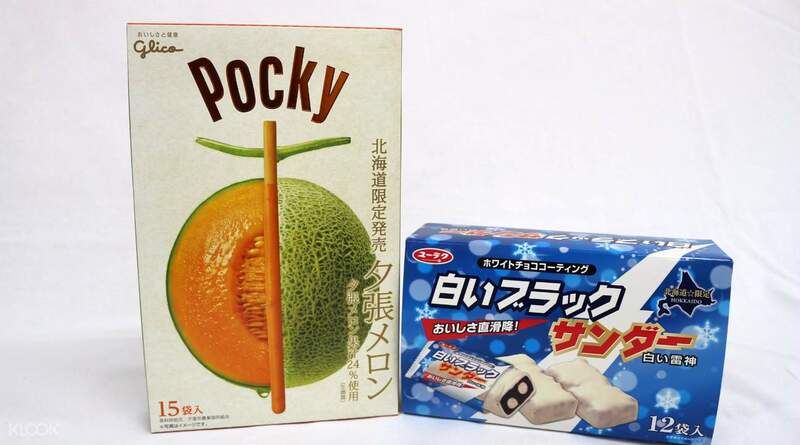 Bring home a piece of Hokkaido's with these two delicious snacks exclusively available in this city! 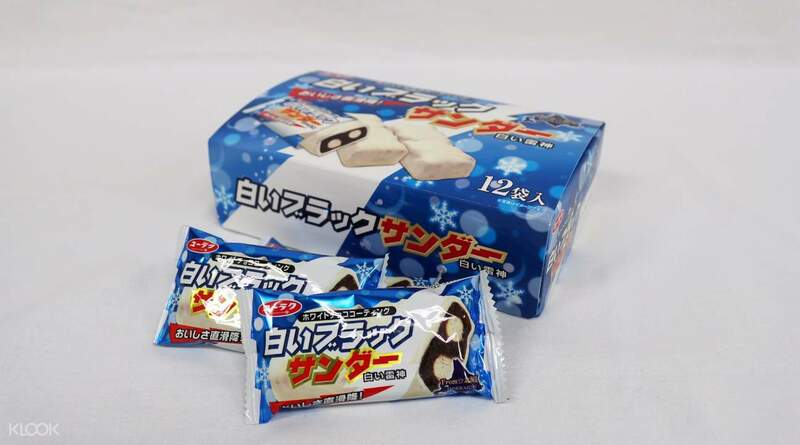 Try the White Black Thunder, which totally reinvents one of Japan's most popular chocolate bars, Black Thunder, by using white chocolate instead of milk chocolate. Savor the decadent combination of sweet white chocolate coating the cookie and rice puff core with every bite you take. 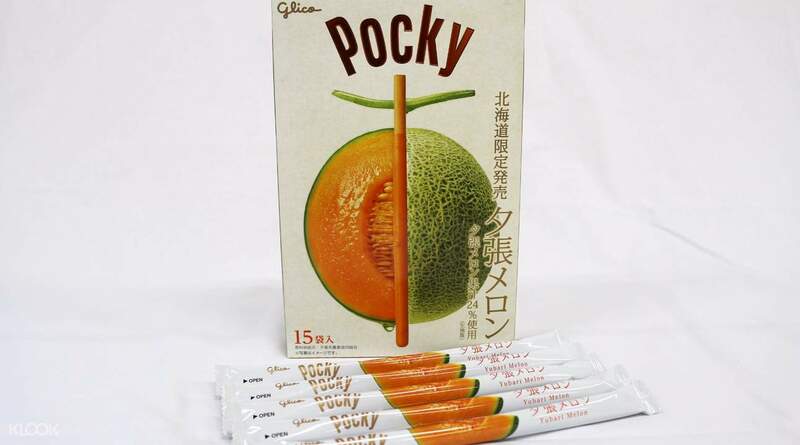 Sample a new, Hokkaido-only flavor of the classic Glico Pocky with the Pocky Yubari Melon, with each stick covered by the sweet taste of the juicy Yubari Melon, a type of cantaloupe grown only in the city. You'll also get to enjoy a convenient, hassle-free pick up service at either New Chitose Airport or JR Chitose Station by booking through Klook! Simply select your preferred pick up date and location at checkout, along with the number of souvenir packages you're getting, then present your voucher to the staff, and you're good to go. Good & time saving, pick up right before leaving japan, highly recommended. Good & time saving, pick up right before leaving japan, highly recommended.